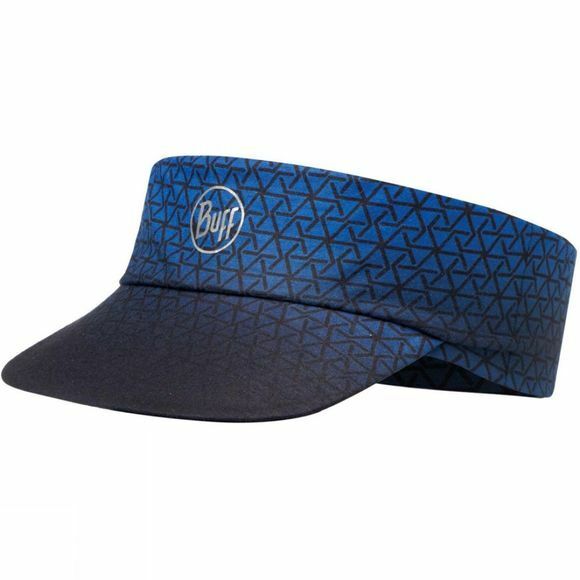 Men's Pack Run Visor from Buff packs small while retaining its shape. It offers protection against the sun’s ultraviolet (UV) radiation. Samples of fabrics have been tested for UV protection in accordance with the standard AS/NZS 4399:1996 “Sun protective clothing Evaluation and Classification”, results achieving UPF>50 (98% UV protection). Protection may be lessened if fabric is stretched, wet or old. The Pack Run Visor has high wicking properties. Sweat and humidity are carried away through the fabric in a quick and efficient manner.